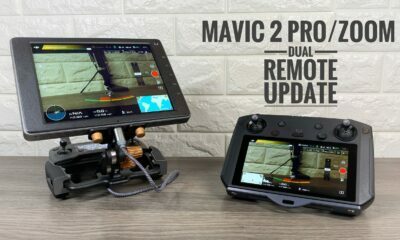 Around the time last summer when the Dji Mavic 2 Pro and Mavic Zoom were released, there were leaked photos floating around showing a remote that had a built-in screen and was reported to be a new integrated remote for the Mavic 2 series. Fast forward to January 2019, DJI official launched this new Smart Remote at CES. It was listed on their website as out of stock for a while and first became available for purchase in European countries, then in Canada and a few days later in the U.S. However it was sold out in a few days and at the time of writing this article it has been listed as out of stock again. 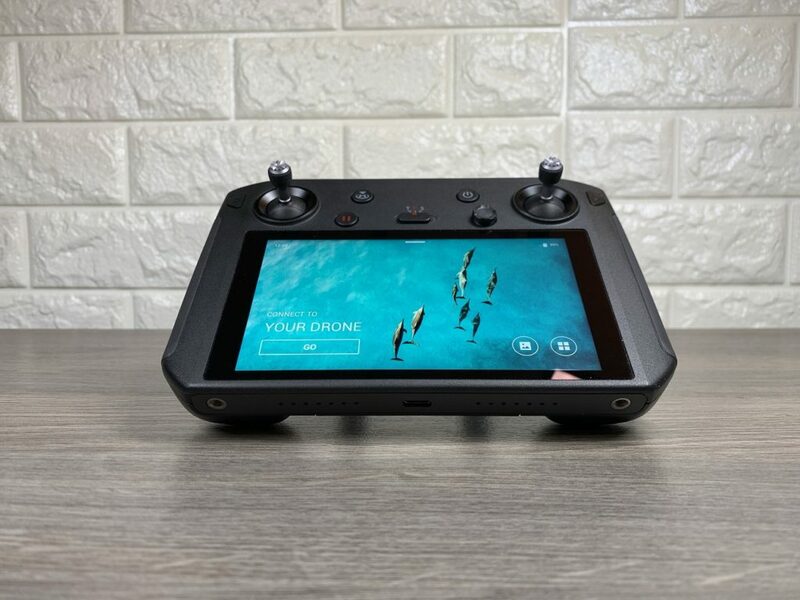 The DJI Smart Controller is an all in one unit with a build in 5.5-inch screen. 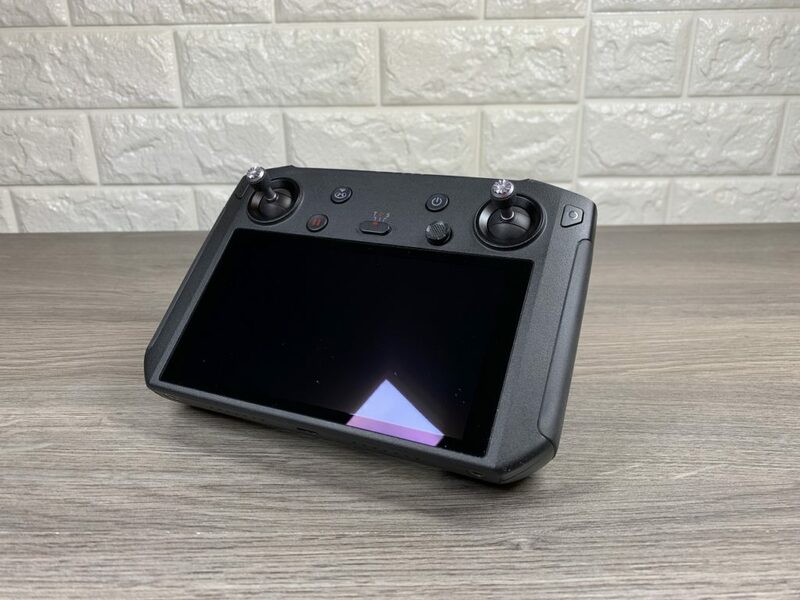 It runs on a modified version of Android and has all the apps needed to fly youR Mavic 2 built-in to the unit. The screen is similar to the existing Crystal Sky monitors and has a super bright 1000 nit screen, this makes for easier viewing on bright days. 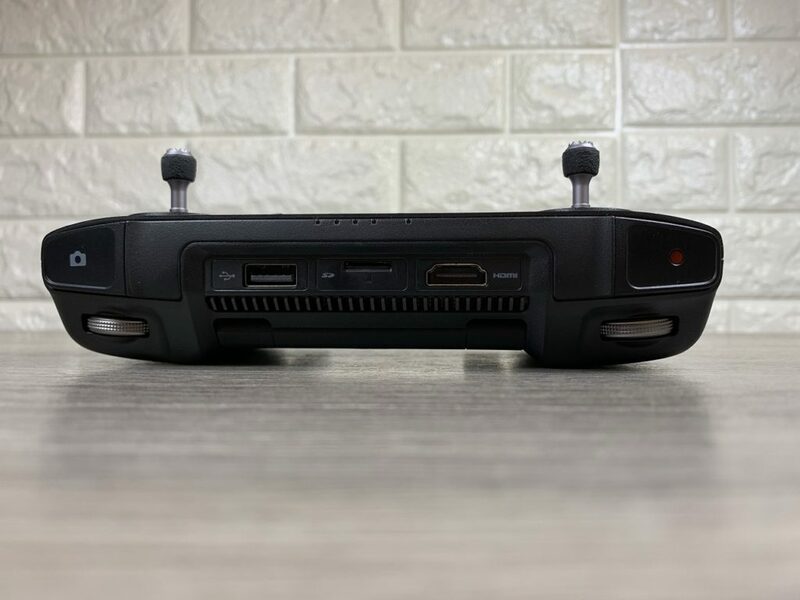 The DJI Smart controller has many useful built-in tools and features such as an HDMI out port allowing you to connect the remote to an external monitor. 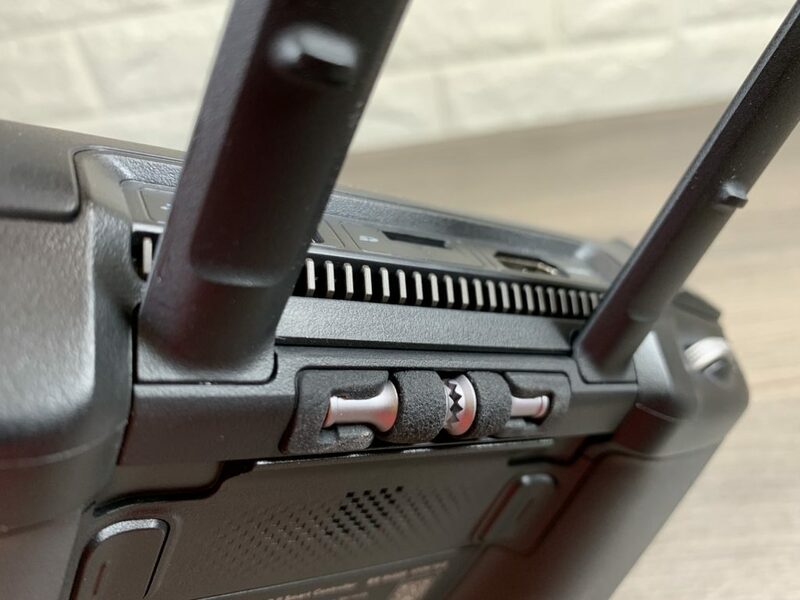 It has a Micro SD card slot allowing you to transfer and view your drone videos and photos. There is a new feature called GoShare and is a way to connect and transfer your drone media to your smartphone or tablet. 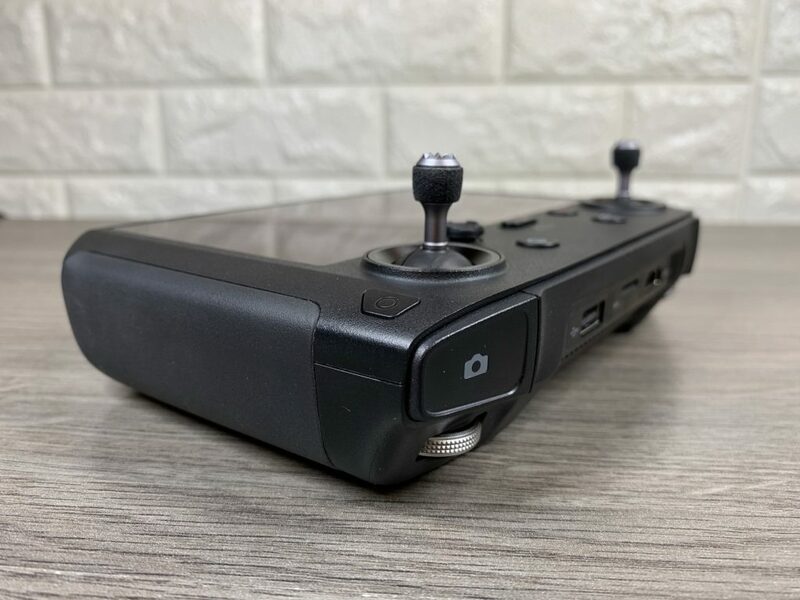 One of the biggest complaints of DJI’s new Smart Controller is the price, it comes in at $649 U.S which does sting the wallet quite a bit. There is now an option when purchasing a brand new Mavic 2 drone that allows you to bundle in the Smart Remote instead of the stock remote, this does save a little money. However, it is a bit of a slap in the face for those who purchased the Mavic 2 early on as no discounts are offered. 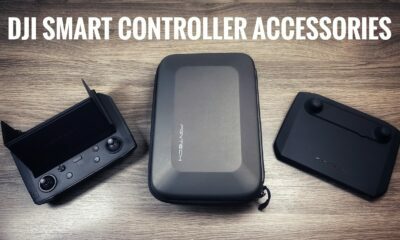 Price aside, I am really enjoying this remote, the new DJI Smart Controller makes setting up and deploying your drone so much faster with less hassle. You don’t have to worry about making sure your phone is charged or putting it into airplane mode so you don’t get distracting calls and messages. It feels comfortable to hold and just performs like a premium device. You can install 3rd party apps as well if you so choose. All in all, it is well worth the money for me, of course, I wish it was cheaper and feel a price tag of $500 would have been better suited. One drawback to using this remote is getting updates later than iOS or Android phones. This has been a common problem even when using the Crystal Sky. Compatibility and feature updates seem to always trickle in sometimes months down the road. This is true for DJI’s latest Go4 App update that included a new intelligent flight mode “Waypoints 2.0”. 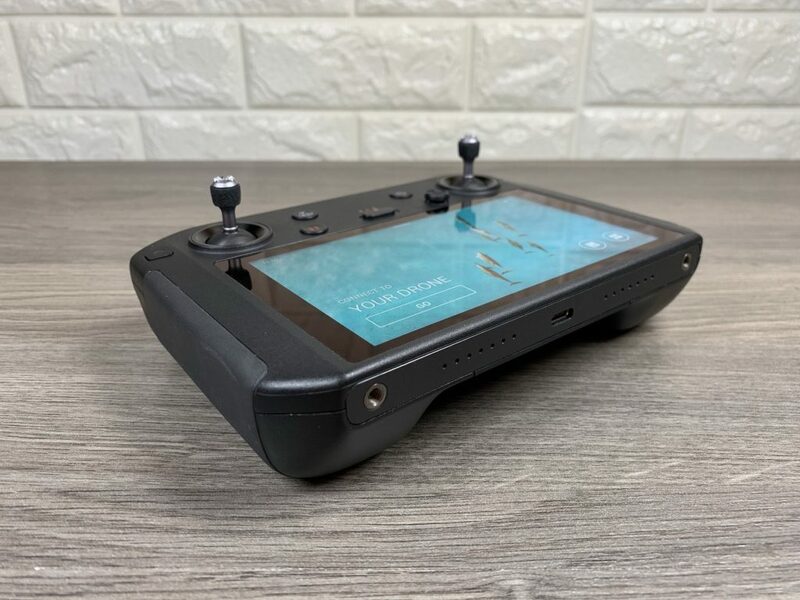 Unfortunately, it is not yet available on the new DJI Smart Controller or Crystal Sky and may not be for some time which is very unfortunate. This is very backward in my opinion, customers who have paid for premium devices should not be punished by lack of updates or features. Premium devices if anything should have updates made to them first. 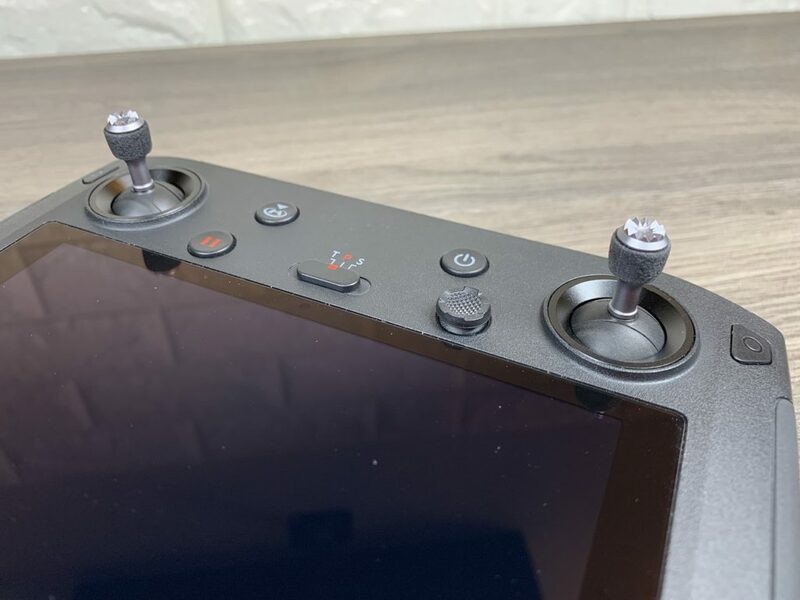 I think this would be a good selling point for DJI if they offered the first crack at new features and updates to those who have purchased premium devices. Watch our unboxing and review video below. 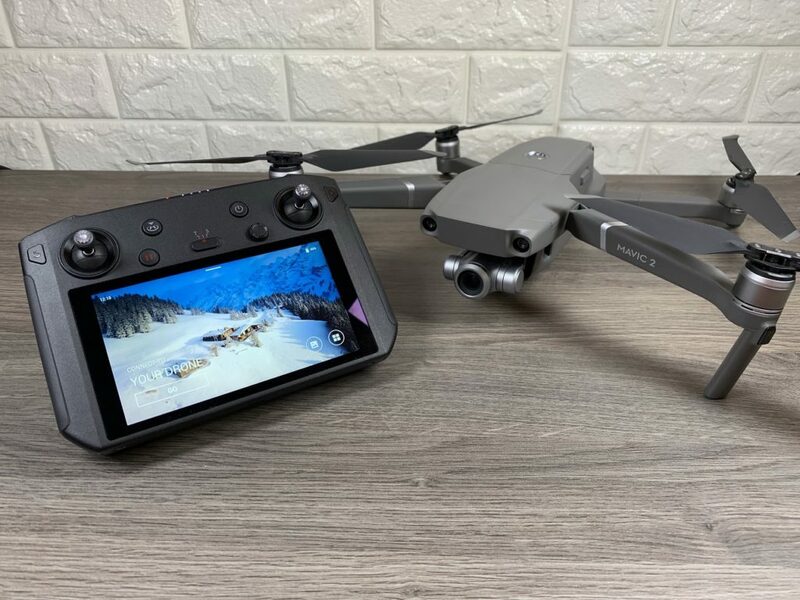 Here is a quick tip if you are thinking of purchasing a DJI Crystal Sky and you own a DJI Mavic 2 Pro or Zoom. When you purchase a CrystalSky it comes with a charging hub and batteries. The 5.5-inch version comes with one battery, while the 7.8 version comes with 2 batteries. However, a charging brick is not included when you purchase either versions of the CrystalSky. When DJI first released the CrystalSky it was mainly designed to be used with a Phantom 4 series drone or the Inspire series and the charging bricks from either of those drones will charge the CrystalSky batteries. In addition, if you own a DJI Osmo the charger that comes with it can charge the CrystalSky. 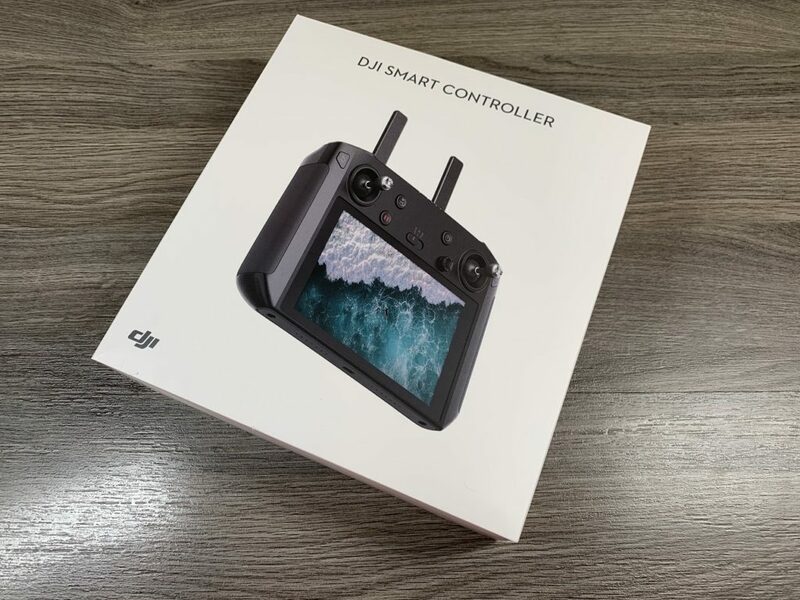 The problem is many now purchase the DJI CrystalSky to use with other consumer drones such as the DJI Spark, Mavic Air, and the new Mavic 2 Series and are now in need of obtaining a compatible charger. On the CrystalSky product page, DJI has a list of compatible chargers you can purchase but for the most part, I find them to be very large and bulky as they are designed to charge large drones and not to mention they are quite expensive. 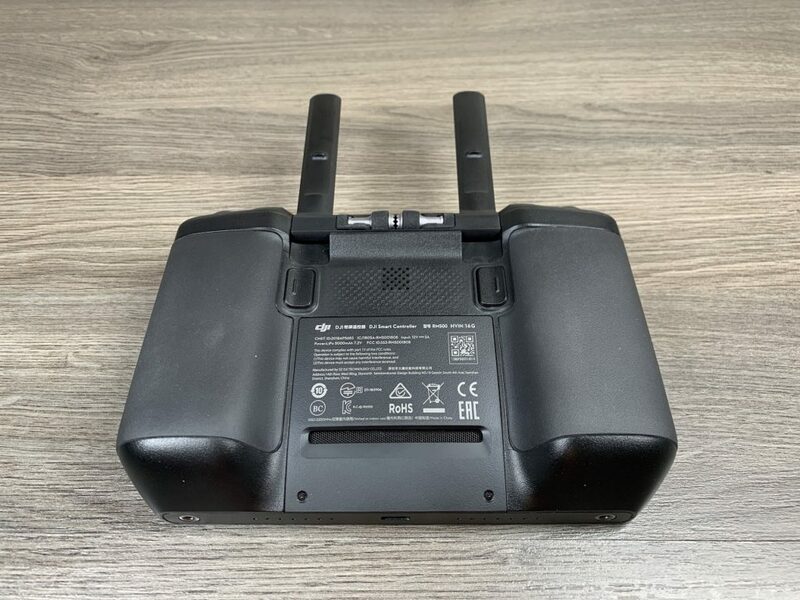 However, if you already own a DJI Mavic 2 Pro, there is an adapter you can purchase on Amazon that allows you to charge the CrystalSky batteries with your Mavic 2 series charger. This is way more convenient than lugging around a large Phantom 4 charger when you will already have your Mavic charger with you. Not to mention the adapter cables come in at under $10 dollars. I have been testing this cable out for a few weeks now and it works very well. 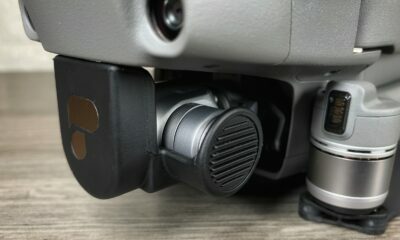 The added bonus is you can also use this adapter with your Mavic 2 car charger that DJI Sells. This allows you to charge your CrystalSky batteries while out on the go. You can watch my video review on this Mavic 2 charging cable for the DJI Crystal Sky.